This is Week 11 in my Beyond the Internet series in which I explore the sources of information beyond our computer screens. This week’s topic is Church Archives. I’d love it if you wanted to join in with your thoughts on this topic. If possible please provide a link to your post on this page. First up, let me say that I’ve never used church archives overseas so can’t speak about them there. Perhaps some overseas bloggers can comment on that? My comments will mainly refer to the benefits of using the Australian Church Archive relevant to your ancestor’s location. For me personally that means Queensland church archives, Catholic and Anglican. Australian civil registration dates mostly from the early-mid 19th century, with the precise date being determined by each state. Cora Num’s website provides a useful guide to these dates. If this is the case why do we need to bother with church records? Similarly the marriage of Hannah Kent and William Partridge obtained through the Anglican Archdiocesan Archives enabled me to clarify several points about their background. Consecration of the family to the Sacred Heart: one of the children, Anne Kunkel was the granddaughter of George & Mary Kunkel and shared a lot of oral history with me. In researching the Bavarians from Dorfprozelten I’ve used church archives to great advantage. It’s rare that the marriage entries in the church registers don’t add something to what I know about these immigrants. If you’re searching for multiple people it can also be cheaper to do it this way, even allowing for a daily fee or a donation. Compare the cost to buying another certificate: surely it’s worth knowing you’ve explored all the options. I always encourage people with apparent brick walls to try this strategy. Unfortunately until you’ve seen the benefits, not everyone is convinced that they could tumble those walls in this way. As with any archive, the records held will vary depending on what has survived and what has been transferred: some records may be in a garage somewhere. Some of the things you might like to ask about, in addition to the standard baptisms and marriages, are communion records, confirmation records, and society records. The archive may also have old books or newsletters which will tell you more about your ancestors’ churches in their era: all grist for your family history. 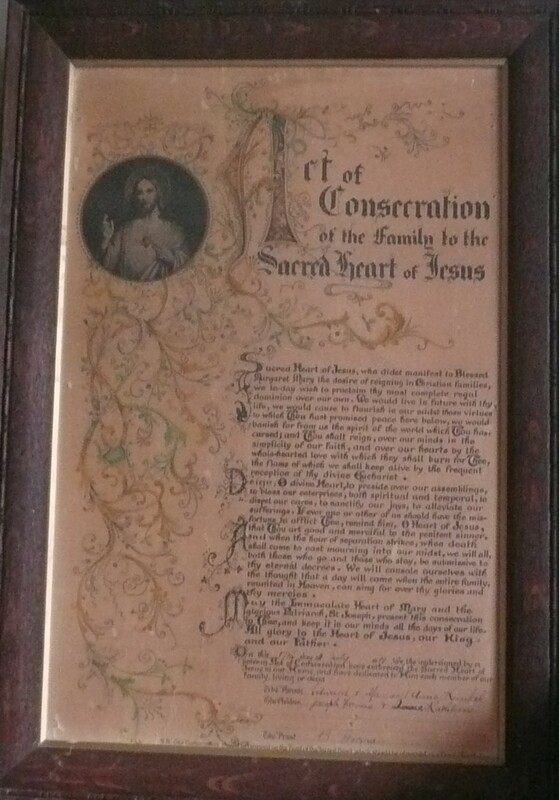 I’ve recently been fortunate enough to be thought of when there was a clean-up of surplus holdings and in this way obtained a 93 year-old church-based certificate which had once been in my ancestor’s original property. My great-great grandmother’s youngest son had the house blessed when his family took ownership after she died in 1919. Without my link to the archive this would never have come to light. Where to find the relevant church archives? Well I’d tend to look up the local phone book first (under the name of the religion) but really a better strategy in Australia would be to use this Australian Society of Archivists search page. Similar societies exist overseas. Please don’t forget when visiting churches or archives, that they have other purposes than helping family historians and may be time-limited. While some have fixed daily fees for research, others don’t specifically ask for money. I recommend always offering a decent donation for the service they provide. 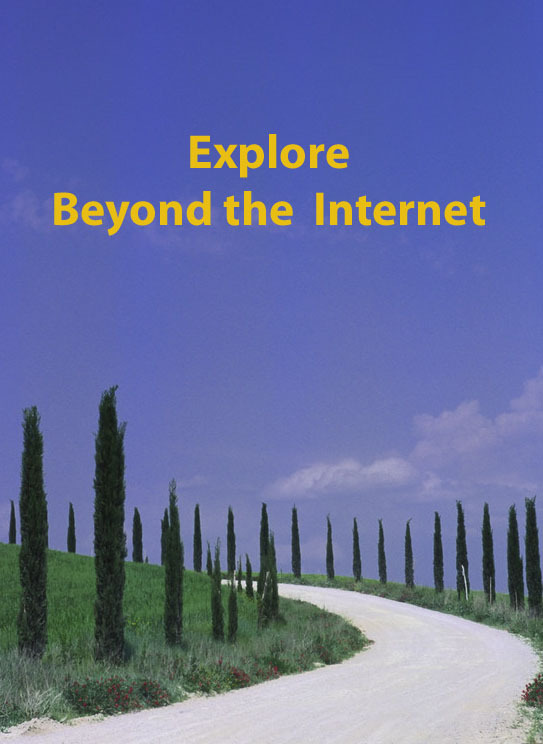 This is Week 8 in my Beyond the Internet series of topics in which I explore the sources of information beyond our computer screens. I’d love it if you wanted to join in with your own posts on this week’s topic which is Certificates. 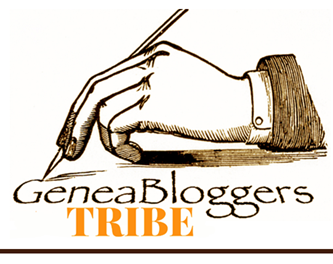 Please join in with your blog posts on this topic, and if possible provide the link on this page. You don’t need to know what you’re looking for, right? Would you build a house without knowing what foundations you require, what best serves the type of house you’re planning, or how big a footprint you need? To my mind, doing family history without certificates is akin to doing exactly this…how do you KNOW you’re tracing the correct family? Unless you’re very lucky, sooner or later your house (sorry, family tree) is likely to end up like the little pigs with the houses of straw and sticks on a bed of sand – it just won’t withstand a critical wind. Traditional family history teaches us that we work backwards through what we know to what we don’t know. Certificates are the building blocks that we use to do this. Sure, birth, death, and marriage indexes/indices will provide signposts so you have a good idea which is the likeliest certificate to order. Yes, I know everyone’s budget is tight these days but really most activities one pursues passionately involve expense. How much do you spend on your subscription sites, for example? 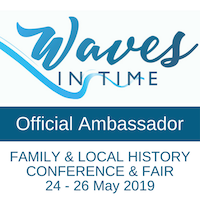 I started my family history when my children were young and we had a lot of expenses, so I solved the finance problem by nominating a particular certificate or two as my birthday/Mother’s Day/ Christmas present. The kids may have rolled their eyes but it worked for me. Civil registration mostly commences around the early to mid 19th century. Before that we are reliant on church records of different sorts. For privacy reasons the various registrars generally limit how far forward we can search. Similarly we are often limited to which certificates we can order for both privacy/confidentiality and security reason (partly to prevent identify theft). There are offline strategies for bringing your research closer to the current day, and I’ll be talking about some of these in coming weeks. In each case might I suggest that you order directly from the Registry Office as that is generally cheaper than the options provided through the subscription sites. You might also be able to save a little money by using a transcription agent where they are permitted to do this (eg NSW). However I would caution against asking someone to transcribe what might be a tricky ethnic certificate. I don’t in any way want to infer the agents are inadequate or careless, rather that you are likelier to know the places and names better than they do, and so make a better judgement on what’s been written. It’s important to remember that the indexes that are available online may cover a narrower timeframe than what may be available on CD-ROM or microfiche from your local family history society or reference library. Cora Num provides a wonderful guide for Australia on her site here. Do have a look as you might be missing out on some additional clues offline. You also need to know where the registrations take place eg in Australia they are done by state, whereas in the UK they’re done by country. You can download an international death certificate comparison by clicking on this hot link. Different locations have completely different information on their certificates. Every time I order an English certificate I am so frustrated by the absence of information. Thank heavens for the Scots whose certificates are almost as rich in detail as the Aussie ones. But how I wish they mentioned where someone was buried. 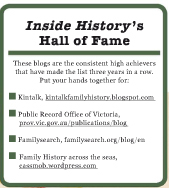 Australian certificates generally provide a wealth of family detail. Of course just because there is a box for including certain information does not mean it’s always included, nor does it mean it’s always accurate, but a variety of certificates will help to rationalise the process. In all these cases we are dependent on the knowledge, and to some extent the literacy, of the person providing the information and the clerk writing it down. Some indexes provide the opportunity for wildcard searching which can be invaluable especially with foreign names. When I did a lot of my searching in NSW BDMs for Dorfprozelten people it allowed for wildcards while now they don’t , whereas the situation has been reversed in Queensland. This is another reason to consider using those CD-ROMs as it will let you search with wildcards to bring up names that may have been written down vaguely phonetically…it’s less of a guessing game. I urge you to consider purchasing certificates so you can be sure you are building a stable and secure house family tree rather than one that will blow down in the first huff and puff of analysis and critique.